changing careers? Purchasing a new home? Taking a trip? Buying a new car? The astrological timing of these events can insure their success, stability and happiness in the future. Astrology studies the combination of planetary energies at the time of your birth, points out your strengths, your potentials and even your weaknesses, giving you the reasons behind them as well as the guidance to understand and overcome issues in order to make the most of your talents and your life. This information can show how you respond to the ever-changing energies around you as your life progresses and help you in decision-making. 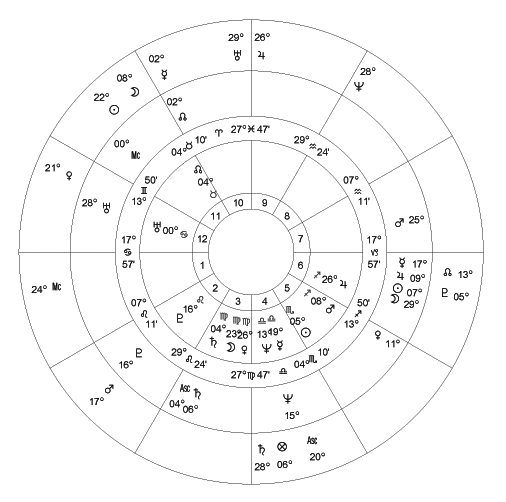 By looking at how your natal (Birth) chart has grown (Progressions) in time and at how the planetary energies moving through the heavens affect you at this time (Transits), you can plan to do things, make changes, etc. at a time that will yield the best results. Astrology can help you to make wise career choices that will not only enable you to acquire what you need, but will give you the options to be happily in sync with who you are. We all know how much better we feel when we are doing what suits us rather than something that doesn’t fit us. Astrology can help you find the best fit for your success and happiness. Relationships can be explored and explained so that you can better understand and work with your connections. All of this is here to help you to be better and happier in this life.